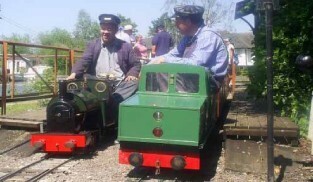 Barton House Railway is a 3 1/2 and 7 1/4 inch gauge miniature ride on railway experience. Located in a spacious garden alongside the River Bure in Wroxham, operating two separate railways, The Midland and The Riverside, it re-creates a traditional railway atmosphere where the whole family can enjoy the nostalgia of the golden age of steam with two ride-on railways, a working full size signalling system and authentic tickets. Open 3rd Sunday between April and October. With a full signalling system operated with heritage equipment, and traditional tickets. 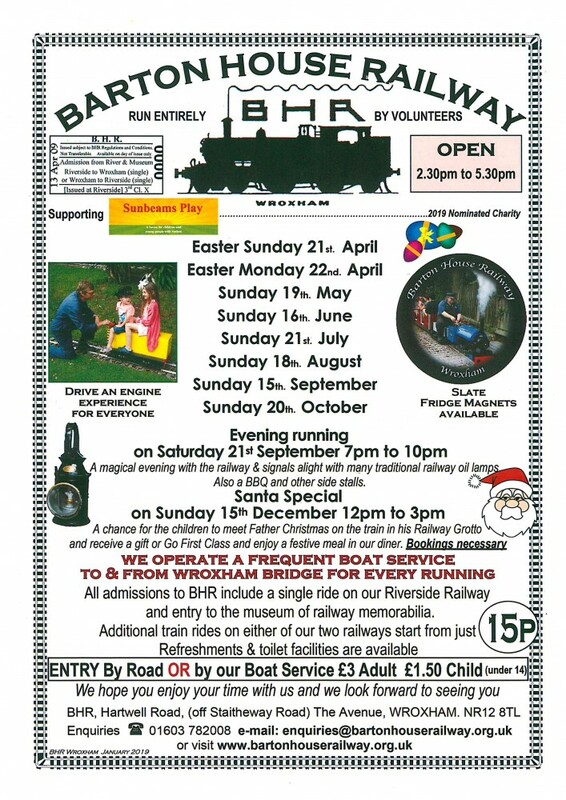 There is an extensive museum of railway artefacts with a Midland and Great Northern theme, homemade cakes and light refreshments available by the river and where you can observe the signalman at work in a full-size original signal box which acts as the control centre of the railway.